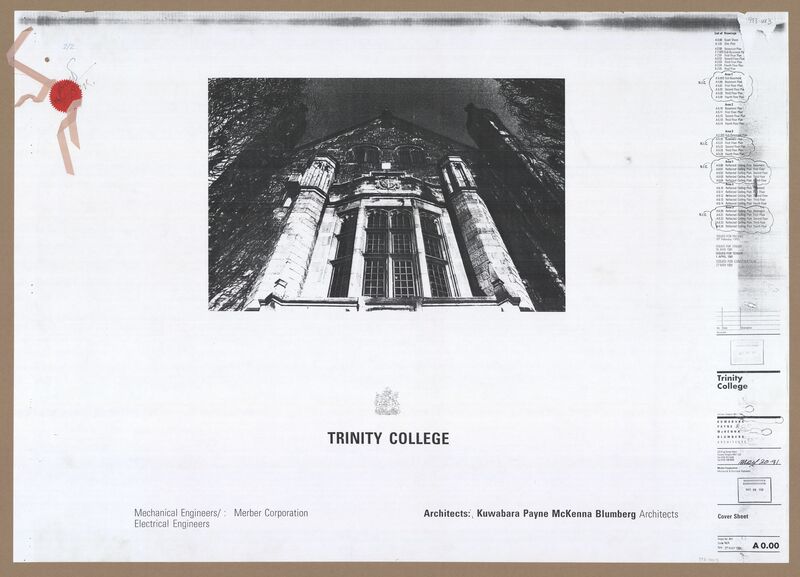 Renovations to Trinity College, Toronto / Kuwabara, Payne, Mckenna, Blumberg Architects, Toronto. - Project No. 8911. - scales vary. - May 27, 1991 "Issued for Construction."